Benjamin Ruedinger, a graduate student in the UWM School of Information Studies (SOIS), has been awarded the second annual Tyler S. Smith Internship at the UWM Libraries. Funded by SOIS and the UWM Libraries, the internship honors the memory of Tyler S. Smith, a SOIS graduate and an academic librarian in User Services, who passed away suddenly in 2016. The Smith Internship acknowledges Ruedinger’s contributions at the UWM Libraries in the areas of leadership, communication, collaboration, and professional curiosity. “Ben consistently receives positive feedback from users regarding his accurate, professional, and courtesy reference assistance,” says Kate Ganski, Assistant Director of Libraries for User Services. “Tyler was a great ambassador for the UWM Libraries and a strong advocate for interns he supervised like myself, and it is honor to receive this internship,” Ruedinger says. 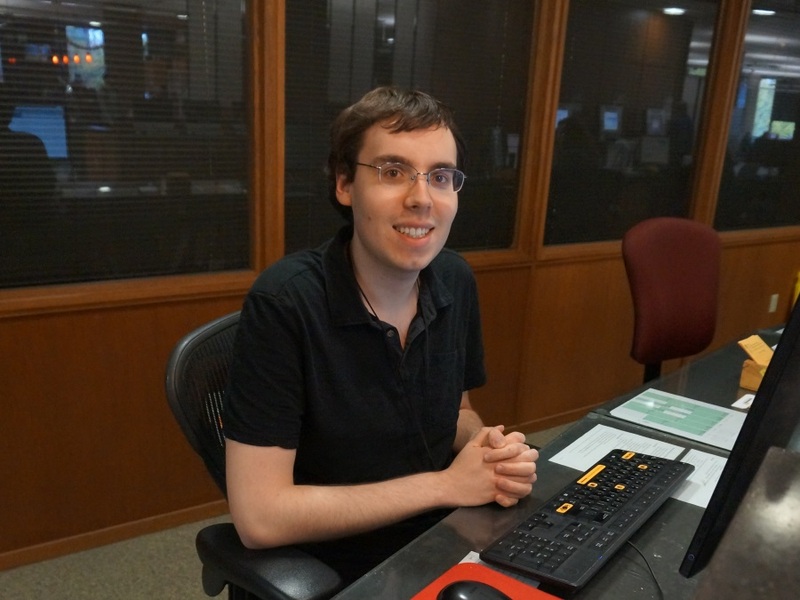 Ruedinger has served as an intern in the Libraries’ User Services division since fall 2016, staffing the research help desk and working on a variety of information technology projects that support user services. He will graduate this December with an M.S. in Information Science & Technology and an M.L.I.S.